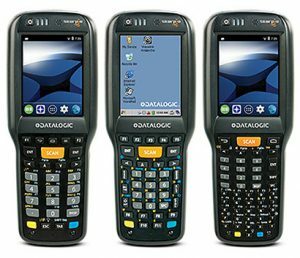 Datalogic, a global leader in mobile computers, recently announced the release of its new Skorpio X4 mobile computer, which is a follow up to their very popular Skorpio X3 and original Skorpio predecessors. 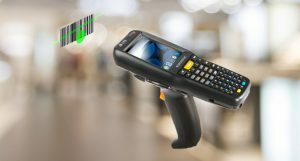 The X4 is a compact, handheld computer that has been designed to make data collection and assisted sales procedures as easy and comfortable as possible for the user. In addition to the improvements to its technology, the Skorpio X4 also provides full compatibility with all previous Skorpio X3 accessories which enables customers to protect their previous investments. Its compact design, which weighs less than a pound, is both handy and pocketable for its users. It has best-in-class ruggedness as it is sealed to IP64 specifications, meaning it is dust-proof and can also handle water spray from all directions. 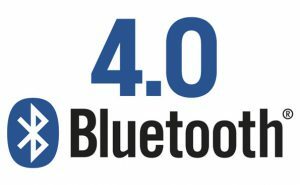 The X4 also operates within -10 to 50 degrees celsius, making it suitable for mobile commerce solutions for both in-store and back-end receiving retail environments. It is an excellent fit for a wide range of applications including inventory picking, shelf replenishment, price management, order entry, assisted sales, line busting and shipping and receiving tasks. The device also has the option to be ordered with a full 50-key alphanumeric keypad, a 38-key ‘function’ keypad, or a 28-key numeric pad for maximum efficiency. Overall, the Skorpio X4 offers one of the best ergonomics on the market and reduces operator fatigue, while never compromising reliability or robustness. For more information about the Skorpio X4, speak to Gamma Solutions.